iSPIRT is announcing the first AI Teardown roundtables. The focus of this first teardown RT will be an honest review of the data readiness for your machine learning strategy. Of the many problems startups on the AI/ML journey face one of the most critical is with their data readiness. Most startups on the AI journey struggle to get sufficient data to build effective ML models. Further, data privacy has increased the complexity of sharing data, which now resides in distant silos. While internal proprietary data is a rich source of patterns, often times it is incomplete. How can I source/collect more data to get completeness? How to clean & prepare data for training? Are we using the right model/algorithm? Do I have a virtuous cycle of data in my product? 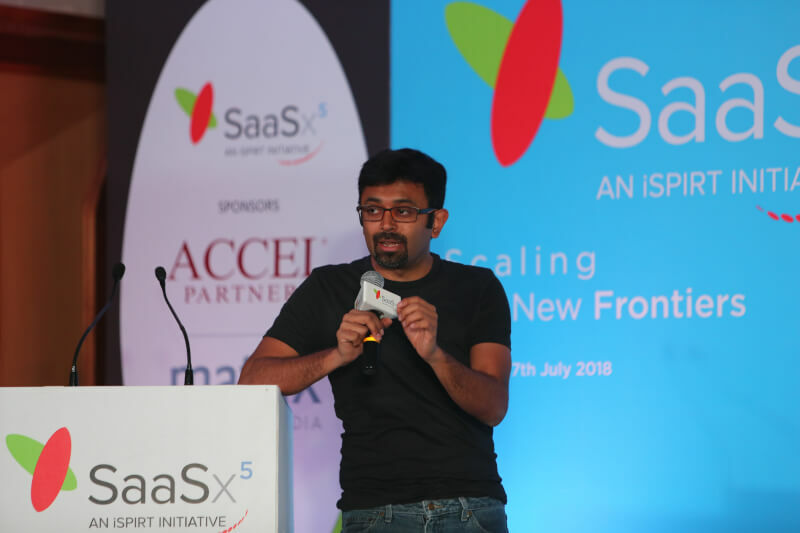 If you are a B2B SaaS startup in the early phases of building an AI-enabled product value then this playbookRT will be a great opportunity to get critical feedback and resolve many queries from our Mavens and fellow peers. RoundTables are facilitated by an iSPIRT maven who is an accomplished practitioner of that Round-Table theme. All iSPIRT playbooks are Pro-bono, Closed room, Founder (+1), invite-only sessions. The only thing we require is a strong commitment to attend the sessions completely and to come prepared, to be open to learning & unlearning, and to share your context within a trusted environment. All key learnings are public goods & the sessions are governed by the Chatham House Rule. If you are interested in the 16-Mar Hyderabad roundtable click here. This is part of our AI/ML roundtables for B2B SaaS. Insights from these sessions are meant to help refine our approach & readiness to leverage AI/ML for building higher order value products. And in doing so building a vibrant community focused around navigating this shift. The current state of AI/ML tools & frameworks. Share & discuss ML & Deep Learning challenges in your products. This is a product startup founder/CXO (+1) invite-only events. Data scientist leads in a product startup are also welcome to register. On confirmation, the venue details will be sent along with the confirmation of your registration. This is a Guest post by Krupesh Bhat (LegalDesk) and Ujjwal Trivedi (Artoo). AI is seen as the new electricity that will power the future. How do we make the best of the opportunity that advancements in AI technology brings about? With this thought in mind iSPIRT conducted a symposium roundtable at the Accel Partners premises in Bengaluru on March 10th. Accel’s Sattva room was a comfortable space for 20+ participants from 11 startups. There were deep discussions and a lot of learning happened through subject matter experts as well as peers discussion. Here’s a quick collection of some pearls, that some of us could pick, from the ocean of the deep discussions that happened there. Products that do not use AI will die soon. Products that use AI without natural intelligence (read common sense) will die sooner. Starting with that pretext, it isn’t hard to gather that AI is not just a promising technology, it is going to be an integral part of our lives in near future. So, what does it mean for existing products? Should everyone start focusing on how they can use AI? Are you an AI-first company? If not, do you need to be one? After all, it does not make sense to build the tech just because it appears to be the next cool thing to do. If you are building AI, can you tell your value proposition without mentioning the word AI or ML? have you figured out your data strategy? Is the need driven by the market or the product? First, an AI-first startup – a startup which cannot exist without AI. Their solution and business model is completely dependent on use of Artificial intelligence (or Machine Learning at least). Some examples of such startups in local ecosystem are Artifacia and Locus.sh. Second, AI-enabled startup – startups with existing products or new products which can leverage AI to enhance their offering by a significant amount (5x/10x anyone?). Manish has a very nifty way of showing the AI maturity of such companies. 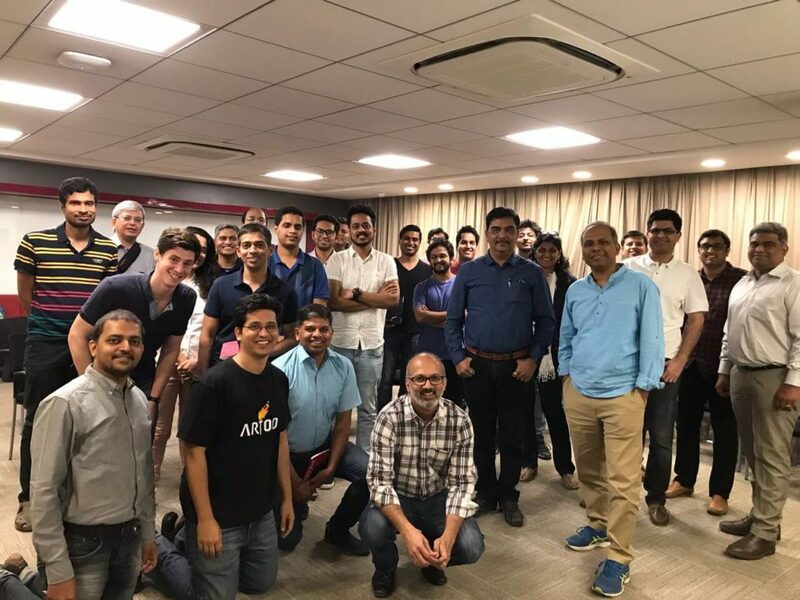 The session was facilitated by several AI experts including Manish Singhal of pi Ventures, Nishith Rastogi of Locus.sh, Shrikanth Jagannathan of PipeCandy, Deepak Vincchi of Julia Computing. Level 1 – No Data, No AI: An entity that solves a business problem and is yet to collect sufficient data to build a sustainable AI business. The AI idea will die down if the company fails to move to state 2 quickly. Business may be capturing data but not storing it. Level 2 – Dark data, No AI: The company holds data but is yet to build solid AI/ML capabilities to become an AI company. There is a huge upside for such companies but the data strategy needs to be developed and AI capabilities are not mature enough to be considered as an AI/ML company. Level 3 – Higher automation driven by data and AI: These are the companies that have built AI to make sense out of data and provide valuable insights into the data using AI/ML, possibly with some kind of human assistance. Level 4 – Fully autonomous AI companies: These are the companies at the matured stage where they possess AI products that can run autonomously with no human intervention. 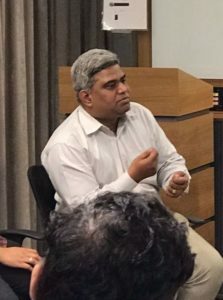 Manish also noted that most companies they meet as a VC are in level 1 and 2, while the ideal level would be 3 and 4. He noted that AI comprises of three important components: Data, Algorithm & the Rest of the System that includes UI, API & other software to support the entire system. While it is important to work on all three components, oftentimes, the data part doesn’t get enough importance. Do You Really Need Artificial Intelligence? Data is incomplete: An example of this is Locus who gets limited mapping for gps coordinates and addresses. 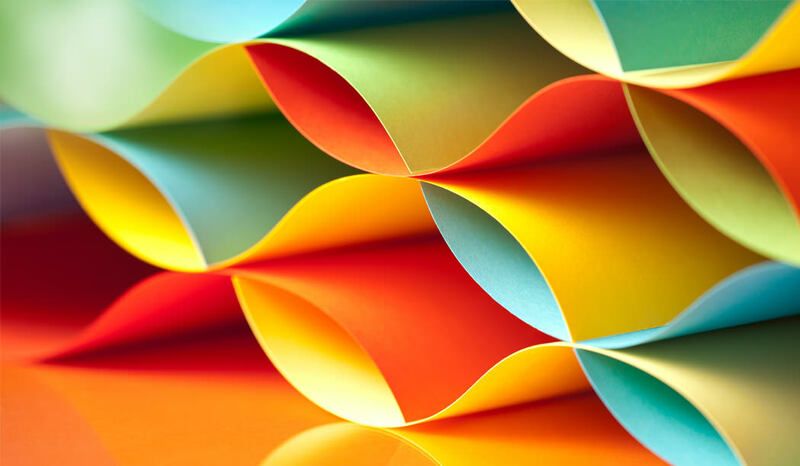 Data is changing constantly: A typical case was of ShieldSquare where bots are continuously evolving and improving and the system deployed to identify them also needs to learn new patterns and evolve with them. It is important to have clarity on your AI model especially when you communicate with your internal teams. Figure out what is the core component of your product – AI, ML, Deep Learning or Computer Vision. What’s Driving Your AI Approach? There are two major driving forces that can help one in deciding whether to AI or not to AI. PUSH: The internal force when decision can largely be taken if your business is sitting on a lot of useful data, may be as a side effect of your key proposition. PULL: The external market driven force where clients expect or ask for it e.g chatbots. We are already observing that AI can be a great pricing mechanism. However, take great caution when using Customer data or Derived data, it depends on legal agreement with clients and can get you into legal troubles if it violates any terms. Is Your Data Acquisition Strategy in Place? What data do you collect, How do you validate it, Clean it and store it for further analysis? It is also important to give some thoughts on how you are using aggregate data across the platform. In case, if your AI model uses a combination of customer specific data and the sanitised aggregate data available in the platform (“Derived Work”), then you should make sure that you have the permission to use such data. Without such clarity, you may run into legal issues. Deepak Vincchi explained how Julia Computing is emerging as the programming language of choice for data scientists. The platform can process 1.3 million threads in parallel and is used by large organizations to crunch data problems. In all this was an extremely engaging 3 hours without break. Guiding the session with real examples by Nishith, Shrikanth and also shared learnings from Navneet and others really helped bring to life Why AI and How AI. 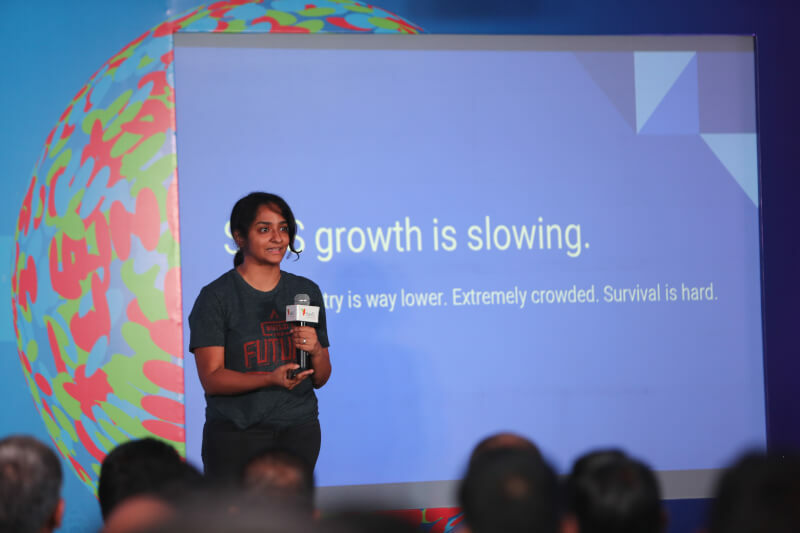 This symposium is part of an AI playbooks track was aimed at kickstarting cohorts of startups ready to jump with AI and help them get traction with AI, more will emerge on this shortly. 10 startups attended this mini-roundtable session – Acebot, Artifacia, Artoo, FusionCharts, InstaSafe, Klove, LegalDesk, Rocketium, Rubique, ShieldSquare.